The Photographer’s search for the best camera gear is never done. As mirrorless technology and cameras develop there are now very good APS-C Cameras available. Specially from Fujifilm which has led the charge on development of APS-C cameras with their XT and XH range of cameras. The latest flagship APS-C camera from Fujifilm The X-T3 claims to improve in all aspects from the X-T2 which has already gotten great reviews from the supporters of smaller sensor cameras. One of the most interesting announcements at Photokina 2018 was by Panasonic when they announced the S1 and S1R Full Frame Mirrorless Cameras.Now after months of teasing and rumours the cameras are now ready for preorder and according to Panasonic will be ready for shipping by the end of March 2019. These are my initial impressions on the Cameras based on the specs, images and videos I have seen on the web. I will come out with a proper review once i’ve had a chance to shoot with the camera. I am truly excited about this camera specially the S1R. More so than any other mirrorless camera that have been announced over the last year or so. But the specs of the EOS R were definitely disappointing for me. After such a delayed entry into full frame Canon released a camera with specs inferior to even the 3 year old 5D Mark 4. So this seemed to be aimed at the 6D users. Why? The camera just isn’t interesting enough to look at as an upgrade from either of my current cameras. So now the wait and search continues for alternate camera systems. Nikon Enters the Full Frame Mirrorless Market with a Bang. introducing the Z7 and Z6 ! Nikon has finally entered the Full Frame mirrorless camera market with the Z7 and the Z6 and three lenses and a 4th in development. I love this head and try to use it as often as I can specially when capturing special landscapes and panoramas. But the truth is I keep grabbing for my lighter and quicker to setup B1 ball head if I'm travelling or hiking to save on weight as I can pair those with a lighter tripod. But I highly recommend the C1 for the dedicated Landscape photographer or wherever precision compositions are required. The Sigma 20mm 1.4 DG HSM Art is a state of the art wide-angle prime lens designed for Full Frame cameras but will work with APS-C sensors as well. Using over 50 years of lens making experience, particularly the knowledge gained from the 35mm 1.4 Art and the 24mm 1.4 Art, the 20mm 1.4 Art is the widest large aperture Art lens to date. The latest optical design allows for the utmost in image quality with careful attention paid to edge to edge performance. Through decades of experience in lens design and Sigma Global Vision lens manufacturing, the 20mm incorporates both “F” Low Dispersion (FLD) glass, and five Special Low Dispersion (SLD) glass in a design of 15 elements in 11 groups. The combination of advanced optics and optimized lens power distribution minimizes spherical aberration, axial chromatic aberration and field curvature, producing outstanding image quality. With class leading performance, this lens is ideal for landscape photography, videography, astrophotography, lowlight/indoor photography and event photography. As with all Global Vision lines, the 20mm will be tested using the proprietary “A1” measuring system ensuring the highest standard of operation. The Sigma 20mm Art is compatible with the USB dock to update and customize and is also compatible with the Mount Conversion Service. A staple procedure for the Global Vision lines, every lens will be tested using the proprietary “A1” measuring system. in AF mode the Sigma 20mm f1.4 Art is moderatley quick and accurate in acquiring focus in normal available light situations and studio conditions and works well even less than ideal conditions.The Autofocus performance of this lens is among the best in class when compared to other wide angle f1.4 AF lenses. Such lenses when used in a landscape application are anyway used in manual focus mode so the auto focusing is not used as often as in a portrait lens. This lens produces sharp images even from wide open at f1.4. And not surprisingly is very sharp between f5.6 and f8.0 the sweet spot for most lenses. Stopping down beyond f8 does not given any increase in sharpness. The image contrast and colour rendition are also very good. The wide f1.4 Aperture allows one to create smooth background blur(BOKEH) on a full frame camera. I find the bokeh to be very nice and pleasing . I am beginning to appreciate the use if wide angle lenses with large apertures to create pleasing environmental portraits. The 20mm f1.4 Art lens seems to be built solidly and designed for the rigours of professional use.But only time will tell. This is a big heavy lens but balances fairly well with my Canon 5D IV body. The lens gives me the confidence to use it as a workhorse in landscape shoots and also environmental portraits. But the huge size and weight does make it a little difficult to carry around but if you make the effort it gives great results. I shot a lot with this lens during my trip to lapland. At INR 91,000 retail this lens might feel expensive But is still cheaper compared to the equivalent canon lens. The Image quality, performance and build quality along with the added light capturing ability at f1.4 makes this a solid choice for amateur or professional landscape photography. You can use the quick link below to shop for this lens. The Sigma 85mm 1.4 DG HSM Art is the latest addition to the world renowned Sigma Global Vision Line. Designed and engineered for unparalleled image quality, the Sigma 85mm 1.4 Art employs a completely new optical design and premium components. 2 FLD (performance equal to fluorite) glass elements and 1 element boasting a high rate of anomalous partial dispersion and high refraction achieve a class leading level of performance. The highly anticipated 85mm 1.4 Art is an ideal lens for a variety of photographic subjects, particularly portrait photography, both in-studio and on-location. The CANON 5D MARK IV..one of the most awaited cameras by Canon users who were looking to upgrade from the venerable but aging 5D Mark iii was finally released in September 2016. I had my very own piece in hand by October when it was became available in India. Canon has done a great job of improving the handling and functionality while still keeping the layouts and menus familiar to 5D III users. Build Quality is good and consistent with the trend set by its predecessors in the 5D Series. It is noticeably lighter than the 5D Mark iii and that is a welcome improvement. The weather sealing has been upgraded to make it more of an all weather companion. If you are already familiar with the 5D,5D Mark ii or 5D Mark iii then this camera will feel familiar to you. Even otherwise I think Canon has got its camera ergonomics down pat and a user can quickly get comfortable with the layout of the controls. There are a few additional ,tweaks compared to the mark iii but one get can used to them pretty quick. The Menu has expanded further with more options for tuning the setting as per your needs but will increase the learning curve for those new to a professional full frame camera. A good book or class for orientation of this camera would be useful to cut short the learning curve and getting the most out of the camera which has a lot to offer. The 5D Mark iv has the Focusing system from the 1DX Mark 2. With 61 AF points of which 41 are cross type(meaning more compatible with slower lens/TC combinations) the 5D 4 should perform better than the 5D3 which was no slouch. I haven't had a chance to shoot too many moving subjects with this camera yet. Will have more details on that in my mid term review of the camera. For still subjects in normal light the AF is smooth and Fast.The low light performance is also quick and doesn't hunt as much as the 5D iii. The Dual Pixel AF also means improved AF during video. More about this in my midterm review of the camera. 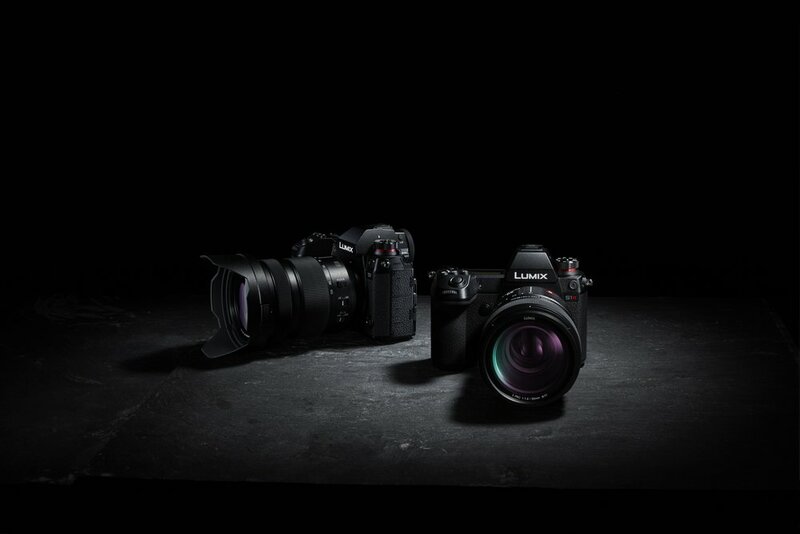 The Burst rate has been increased to 7 Frames per second from 5 FPS for the 5D iii. This improvement makes the camera that much more viable for wildlife and action photography while still not being on par with a 7D mark ii or 1DX Mark ii or for that matter a D500 or D5 from the Nikon stable. Will be taking this camera out for some birds in flight photography and share my observation in the midterm review.. This is an area where this camera shines. It's high ISO performance is a marked improvement from the Mark iii and almost on par with the 1D Mark ii in this area. I have shot images at ISO 1000 which were as clean as the images shot at ISO 640 on the 5D Mark iii. I wouldn't hesitate to shoot at ISO 1600 or even ISO 3200 in some situations now. I haven't come close to pushing this camera to its limits in terms of high ISO performance but with some Astro photography in the plans should be able to really test this camera. There are a number of parameters that can be used to define image quality. What I am referring to here is the look of the image which is largely determined by Colour Accuracy, Contrast, Resolution, focus accuracy. I still feel the benchmark for image quality are the Leica cameras. And the Hasselblad medium format image has the feel of film which has more feel and drama compared to any of the 35mm DSLRs and this is no exception. Landscape images need some tuning in Lightroom or other image editing software to get the best out of the scene. Portraits are neutral enough and the increased red in skin tones which was the bane of most canon DSLRs is not longer a problem. Will post some images straight out of camera here and you can make your own judgement. I believe the 5D 4 represents good value for money considering all that it offers. Sure there are competitors that may outperform it in specific areas but the 5D4 is a terrific all rounder. Well built to last a long time and to bear the rigours of professional use. It does a lot of thing very well and for canon users who will be shooting primarily portraits, events, weddings, landscapes, astrophotography, this is the best overall choice available now. Interested? Here is a link to shop for the camera. Review of the Canon EF 85mm f1.8 USM lens. Review of the professional's work horse the Canon 70-200mm f2.8 L IS II. Review of the Sigma 35mm F 1.4 Art Lens. From the new Art Range of Lenses from Sigma this lens has been receiving very good initial reviews from photographers. Kamal Chilaka puts this lens to a real world test. Review of Zeiss Otus 55mm F 1.4 Lens. Read a real world use based review of this remarkable lens from Zeiss. Travel and Landscape Photographer Kamal Chilaka shares his experiences with the lens after using the lens for a variety of images over a period of a year. Review of the Canon EF 50mm F1.4 USM.